Learn the secrets to finding inner peace and happiness with expert guidance from bi-lingual Buddhist author and teacher of mindfulness meditation Supawan Green. Ajarn Supawan is based in the UK and travels the world teaching her unique and simple style of Buddhist mindfulness techniques including Vipassana Meditation and Tai Chi Qi Gong. 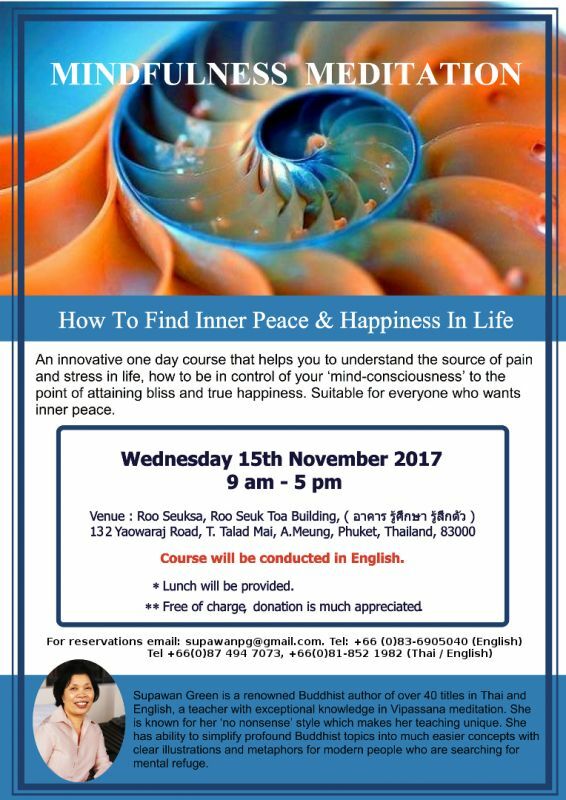 Ajarn Supawan has invited any interested members of the public to join a free all-day Mindfulness Meditation workshop, conducted in English, in Phuket Town on Wednesday, November 15, from 9:00am to 5:00pm at the Infinite Insight Co.,Ltd. (The Books Phuket) building on Yaowaraj Road. Ajarn Supawan is based in the UK and travels the world teaching her unique and simple style of Buddhist mindfulness techniques including Vipassana Meditation and Tai Chi Qi Gong to people of all ages and walks of life. 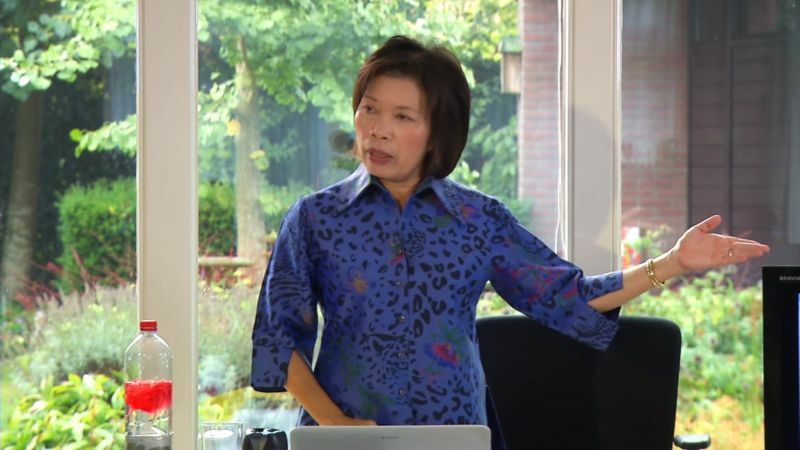 She has also published more than 40 books in Thai and English on these topics. This workshop is a unique and special opportunity to meet Ajarn Supawan during her brief visit to Phuket this November. See Ajarn Supawan’s YouTube videos here and Facebook page here. The day includes lunch. Make your reservation online here. Also you can email: supawanpg@gmail.com. Or call: +66 (0)83 690 5040 (English) +66 (0)87 494 7073, +66 (0)81 852 1982 (Thai / English).